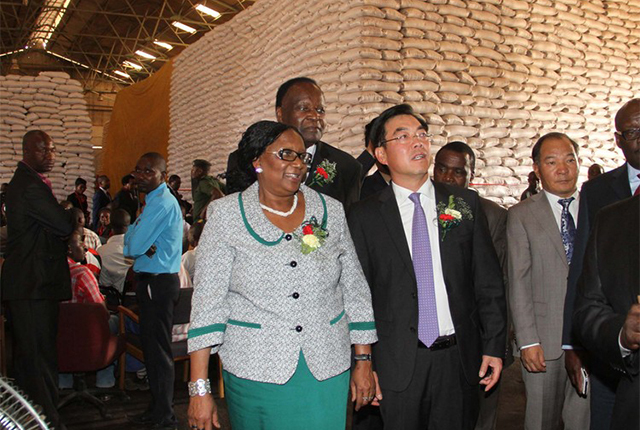 Government yesterday received part of the 19 000 tonnes of rice from China after 5 500 tonnes was delivered to Grain Marketing Board’s Aspindale depot in Harare, as measures to alleviate food insecurity intensify. The Chinese Government also pledged to provide 10 000 tonnes of urea fertiliser to Government as a way of boosting the Command Agriculture programme which aims to produce 2 million tonnes of maize on 400 000 hectares of land. The donation, which was received by Public Service, Labour and Social Welfare Minister Prisca Mupfumira, comes as the country is facing acute food shortages that have been exacerbated by the devastating El Niño-induced drought. Speaking after receiving the consignment at Aspindale, Minister Mupfumira said the Chinese gesture is a response to the appeal for humanitarian assistance made to the domestic and international community. “Currently Government is assisting over 600 000 food insecure households, approximately 3 000 000 people, with maize grain,” she said. Minister Mupfumira said it is the State’s responsibility, through the Social Welfare Assistance Act and various statutory instruments, to ensure that the vulnerable and ultra-poor households receive social protection services. She said her ministry could not do it alone, thus an enabling environment had been put in place to accommodate assistance from other Governments, Non-Government Organisations and developmental partners such as United Nations Development Programme and World Food Programme. Present to receive the donation was Health and Child Care Minister David Parirenyatwa. 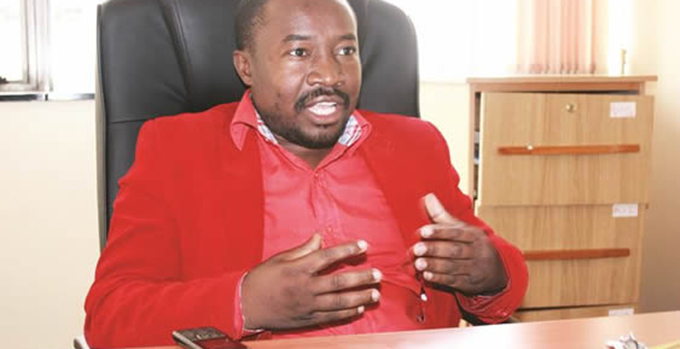 The Health Ministry received 100 tonnes, while the Zimbabwe Prisons and Correctional Services got 50 tonnes. Other beneficiaries were Danhiko Children’s Home and Jairosi Jiri who received five tonnes; Kasipiti, Chirchester and Society for the Destitute Aged (2 tonnes each); Harare, Bumhudzo, Breaside and Chinyaradzo children’s homes (three tonnes each). Chinese Ambassador to Zimbabwe Mr Huang Ping said the donation was part of the outcome of delivering President Xi Jinping’s pledge of $25 million worth of rice to help Zimbabwe cope with food shortages as well as strengthen the bilateral relations existing between the two nations. Ambassador Huang said China understood the importance of agriculture in Zimbabwe and donated 10 000 tonnes of urea fertiliser which they would make sure is delivered to the farmers before the rain season begins. “Today’s donation of rice is part of the outcome of President Xi Jinping’s visit to Zimbabwe and the FOCAC Johannesburg Summit last December during which President Xi announced that China will provide one billion renminbi (Chinese currency) in emergency food aid to augment the poor harvests African countries affected by the EI-Nino, including Zimbabwe reaped. 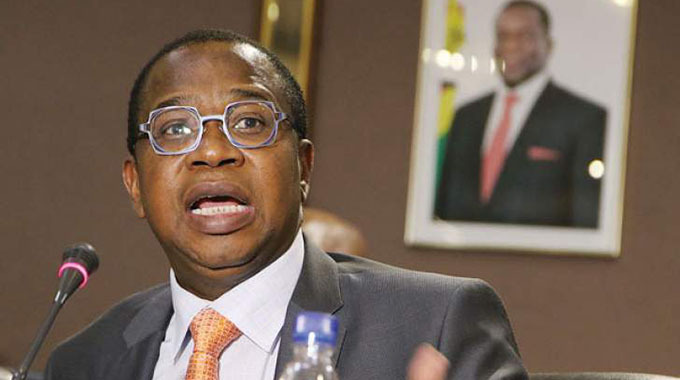 “China-Zimbabwe agricultural cooperation is facing new golden opportunities as they are working on plans to further promote our win-win bilateral agricultural cooperation such as expanding the exports of Zimbabwe’s agriculture products to China,” he said. 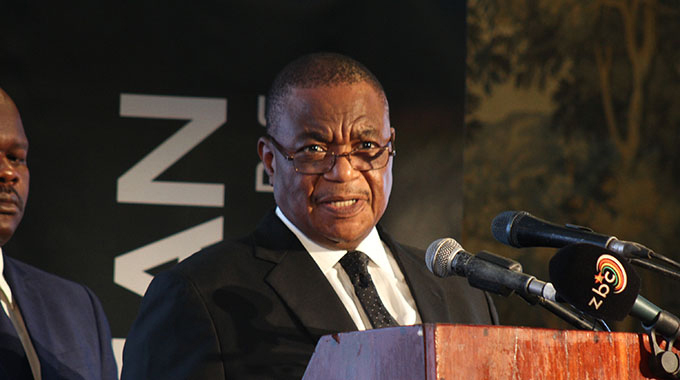 Cabinet Ministers, Deputy Ministers, Permanent Secretaries, principal directors and representatives from different organisations attended the function.